Are you involved with a voluntary, arts or community group in Warwickshire? Are you interested in finding more about how social media, such as Twitter, Facebook and blogging, could help your organisation? If so, please come along to our free social media surgery and get one to one advice specifically tailored to your needs. 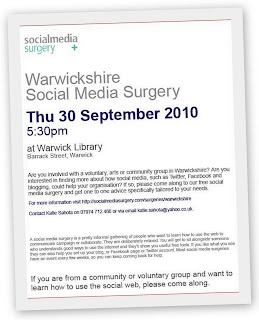 For more information visit http://socialmediasurgery.com/surgeries/warwickshire Contact Katie Sahota on 07974 712 466 or via email katie.sahota@yahoo.co.uk. A social media surgery is a pretty informal gathering of people who want to learn how to use the web to communicate campaign or collaborate. They are deliberately relaxed. 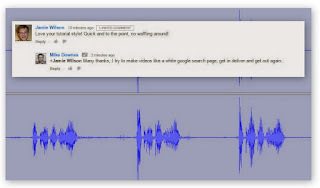 You will get to sit alongside someone who understands good ways to use the internet and they'll show you useful free tools. If you like what you see they can also help you set up your blog, or Facebook page or Twitter account. 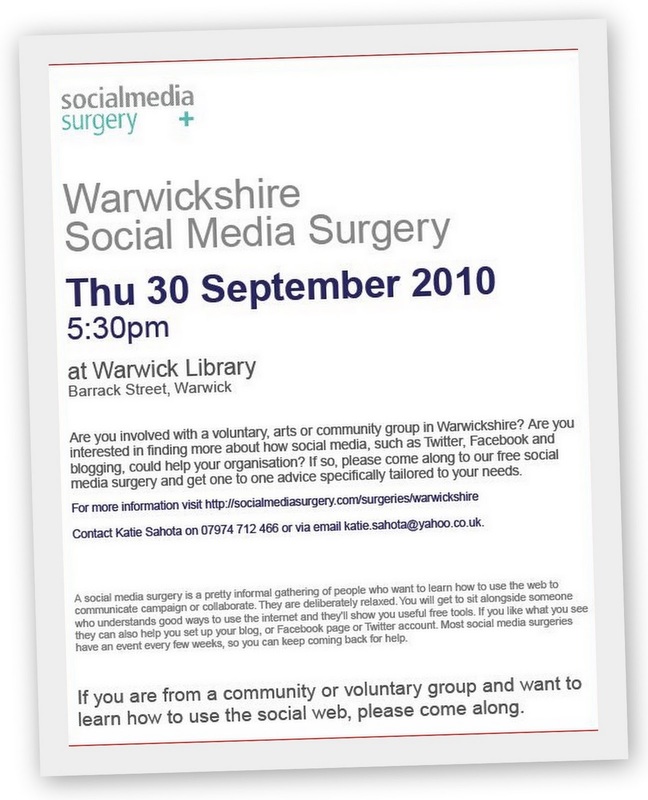 Most social media surgeries have an event every few weeks, so you can keep coming back for help. If you are from a community or voluntary group and want to learn how to use the social web, please come along.